Good for long powerslides, this little toy has a lot of temperament. 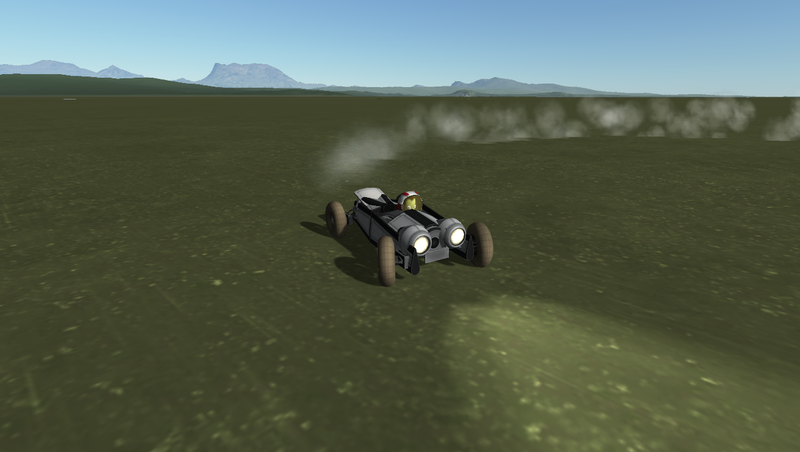 Top speed around 95 m/s. Watch out with jumping, this is no Charger. Part count after dropping pod: 31. Mass after dropping pod: 1.8t. A stock car called 77I- Roadster. Built with 33 of the finest parts, its root part is structuralIBeam1.